We get ask repeatedly about whether we plan to create instructional videos on how to self launch and self land your kite. Personally I self launch 90% of the time, as it seemed to be the way most people launch at my current home beach in Santa Cruz. And self landing has become the norm too. But for now, we won’t be making a video to show you all how to self launch! 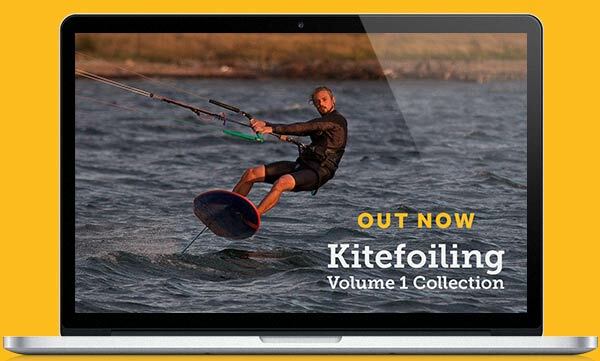 The reason why is quite simple – self launching is so kite and location specific, it would be very hard and quite irresponsible of us to think we could cover all the options in such a way that people could go out, video in hand and safely self launch their specific kite on their specific beach. There are a few videos that show you the basics, for specific kites, but they all do it in perfect conditions and no one shows you what to do when it goes wrong, and it will go wrong. Even a Progression Common Mistakes section would seem somewhat redundant, if it requires you to first make the mistake and then come back to the video and find the section that discusses “If you end up in the hospital then you are doing one of 5 things wrong…” – its a little late at this point. So how do you go about learning to self-launch? The best way is to learn with a friend or instructor – someone with great kite skills who can demonstrate the correct way to do things. They can show you some mistakes and how to recover from them and most of all be there as you try your first self launches, making sure everything is setup correctly and talk you through the options with some quick witted advise if things start going wrong. Moderate winds. The best winds to learn are non-gusty, moderate winds. Unlike self-landing, where light winds are a blessing, for self launch you want some wind but not over powered. Start with a narrow range of conditions in which you’ll self launch and as you get more experienced and learn the tricks to get round potential mishaps, you can give it a go in strong or lighter winds. Lines. The most important aspect of self launching – you have to be 100% confident your lines are correctly attached and have not got tangled or caught up before you launch. I can’t stress this enough for two reasons. Firstly, the obvious one, If you get this wrong, your kite will react erratically and there will be no kite launcher there to catch your kite again. Secondly, knowing your lines are 100% right and ready to go, gives you the confidence to be aggressive with your bar and focus on launching the kite with nothing in the back of your mind causing hesitation. Safety release. Make sure you are 100% confident releasing your main safety release and be prepared to use it if things start going wrong. Don’t be proud, pull that release if you aren’t 100% happy with how things are going. Hot Launch. This generally happens with your kite directly downwind, with it flying up straight through the middle of the power zone. 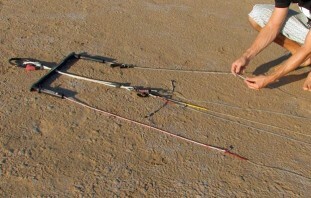 This is not a recommended technique and relies on a kite with a lot of depower and is mainly used on very small beaches, with lighter winds where this is little other options. The Tip Fold. This is the original self launch method, where you fold over one tip, cover it with sand and then run back to your bar to launch. This worked well with the older C-shaped kites and also when kites weren’t build so well – bending the tip over on a modern kite is not so easy! Not recommend these days. The Counter Balance. Not very common but popular with a small number of people where the location allows for it. Here you attach your chicken look to a fix object (a car, tree etc) and then position your kite, flying at the correct position at the side of the wind window. You then leave it balanced in this position whilst you walk back to your bar, detach the chicken loop from the fixed object and hook in. Its a little sketchy and not one to try in gust winds. The Side Launch. This is the most common and “safest” method (shown in the video above). 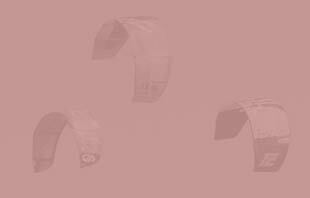 Have your kite positioned at the side of the wind window, your lines running down to you standing in the centre of the window. Tensioning the lines causies the kite to catch the wind, pivot onto its side and, in control, fly to the front of the window. Still keen to give it a go? 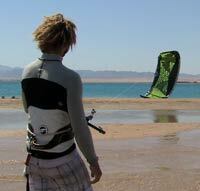 Find an empty beach, constant wind and a friend/instructor for your next session. And what about self-landing? That’s a little easier but we’ll save that for the next blog post.